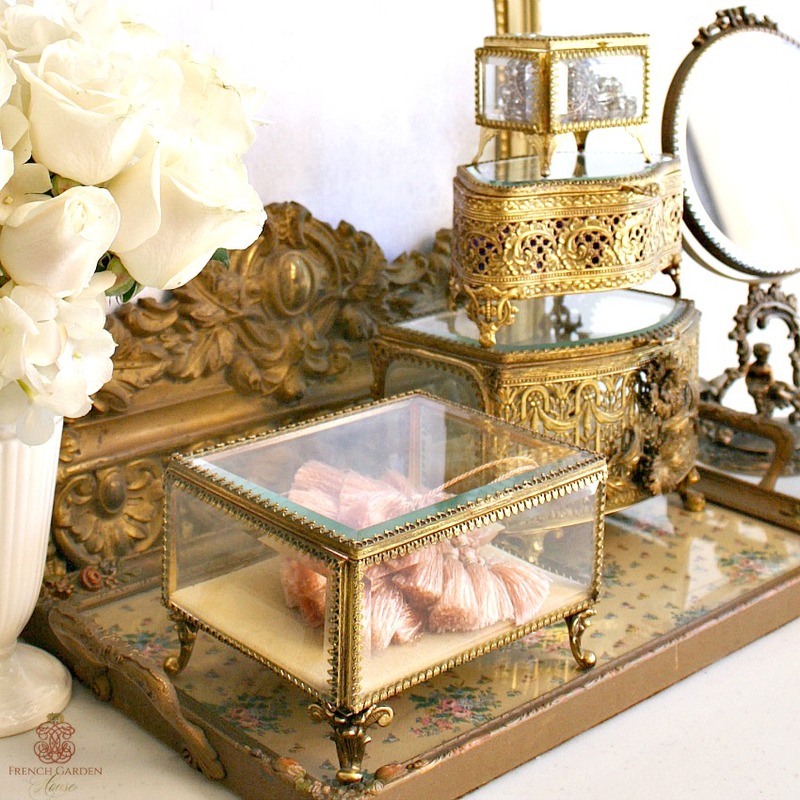 Gorgeous and very decorative Large Glass Gold Plated Jewelry Casket or Box, with beveled glass side panels. Lovely gilt 24kt. gold plating, diamond pointe edging, and sweet cabriole legs make this a stand out piece for your vanity collection. 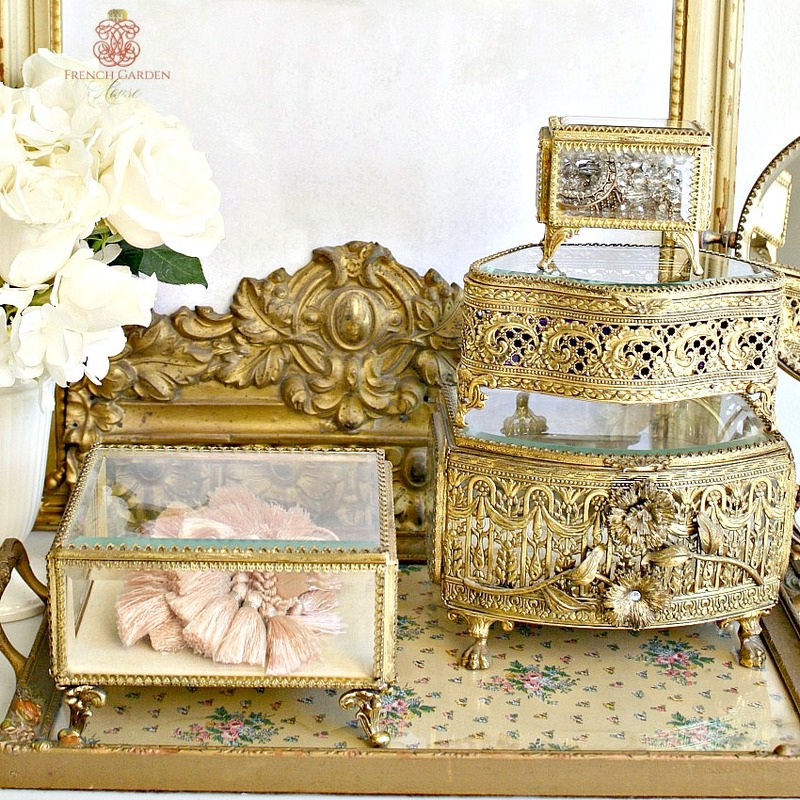 Beautiful French rococo classic design, the gilt is meant to emulate ormolu. The inside mat is velvet, in very clean condiiton, this was most likely made by one of the better manufacturer's such as Matson or Stylebuilt. Not for the perfectionist, there used to be a small little handle on the front, which has run away. 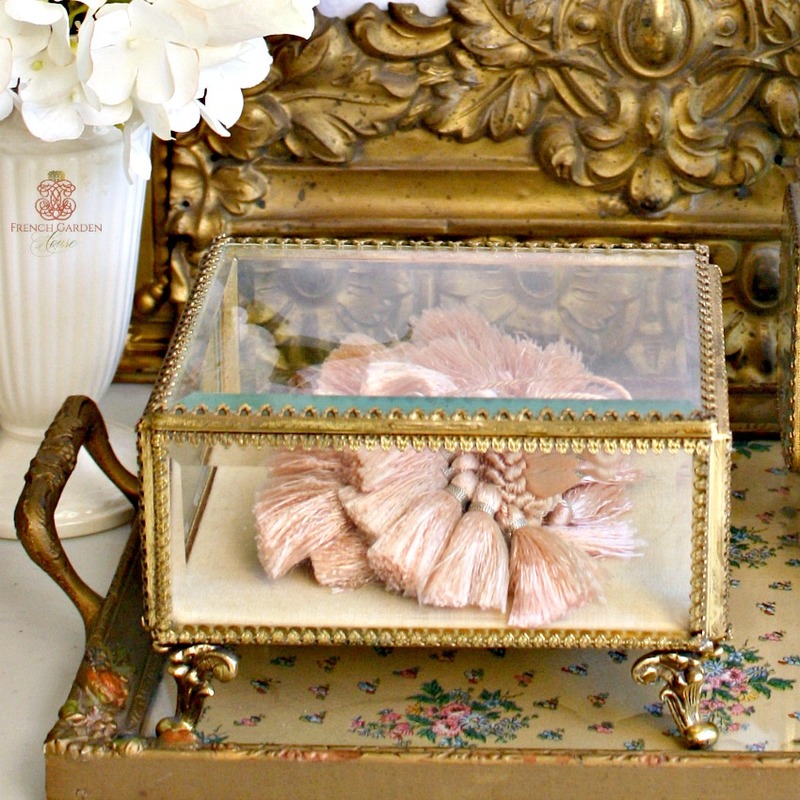 It's not really noticable, and gives this jewelry box a very contemporary look. 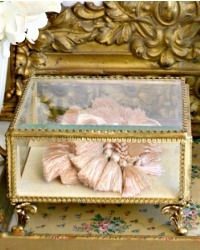 An exceptional addition to your collection of antique and vintage jewelry caskets, as shown in the last photo. A fabulous size, measures 6-1/4" x 4-7/8" x 4".